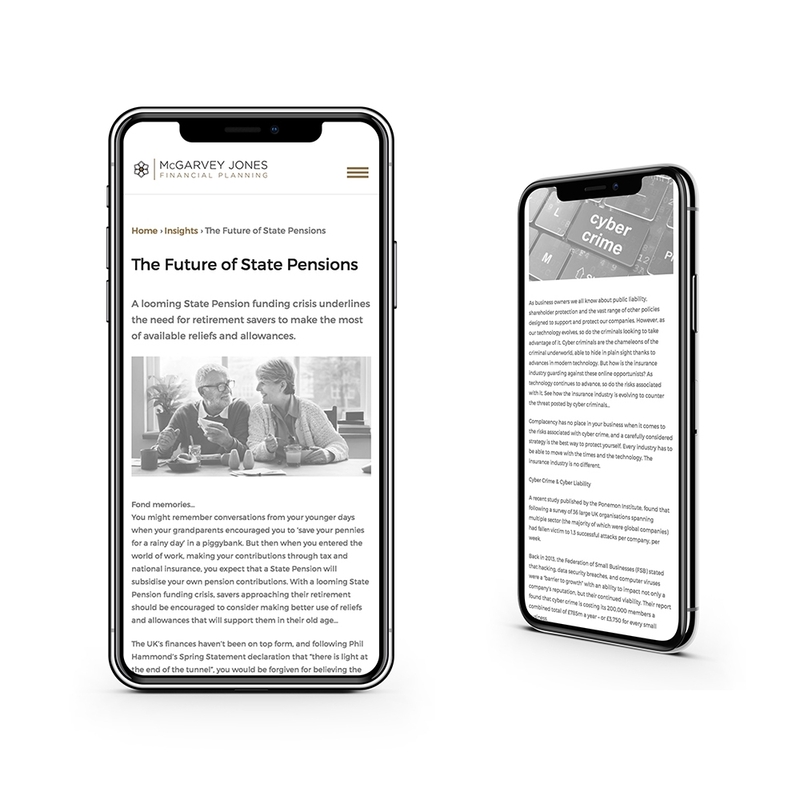 Manchester based Financial Planning practice McGarvey Jones enlisted our support to launch their brand into the digital world in 2018. With the website being the primary focus we developed a comprehensive platform, working alongside marketing & compliance managers at the practices network head office at St. James’s Place to ensure the site delivered on compliance as well as performance. 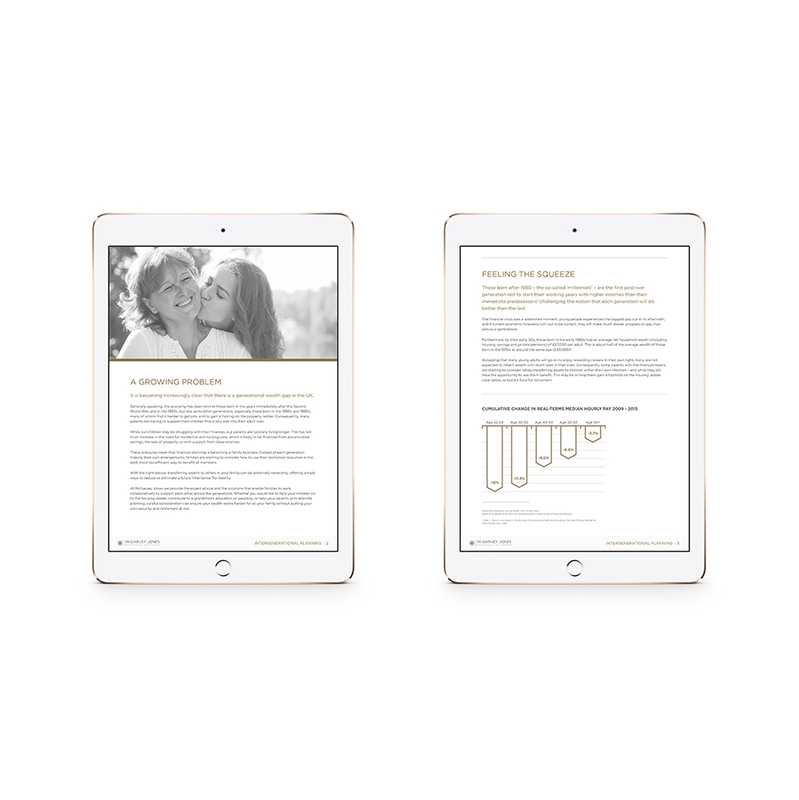 To support the site a full content plan has been developed including eBook, client comms, infographic and animation, video bulletins and social strategy – to ensure that McGarvey Jones are informing, educating and entertaining their audience. Working with the team at McGarvey Jones to develop a strong brand portfolio to showcase their client centric approach. 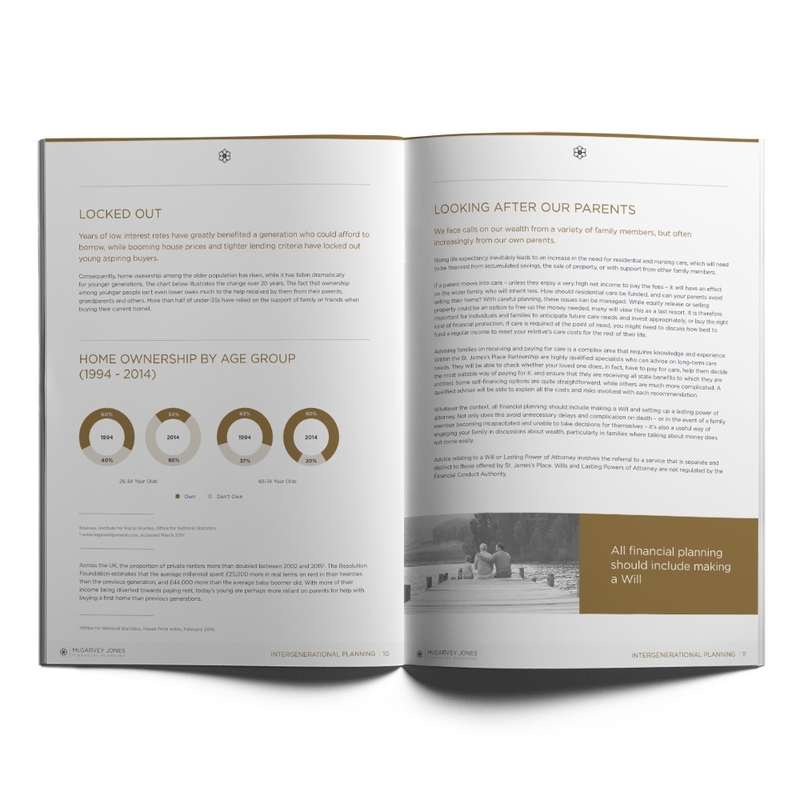 Produce a range of high quality brochures, direct mail and leaflets to support face to face client meetings. A series of video bulletins on key financial topics and supporting business photography for team member and events. 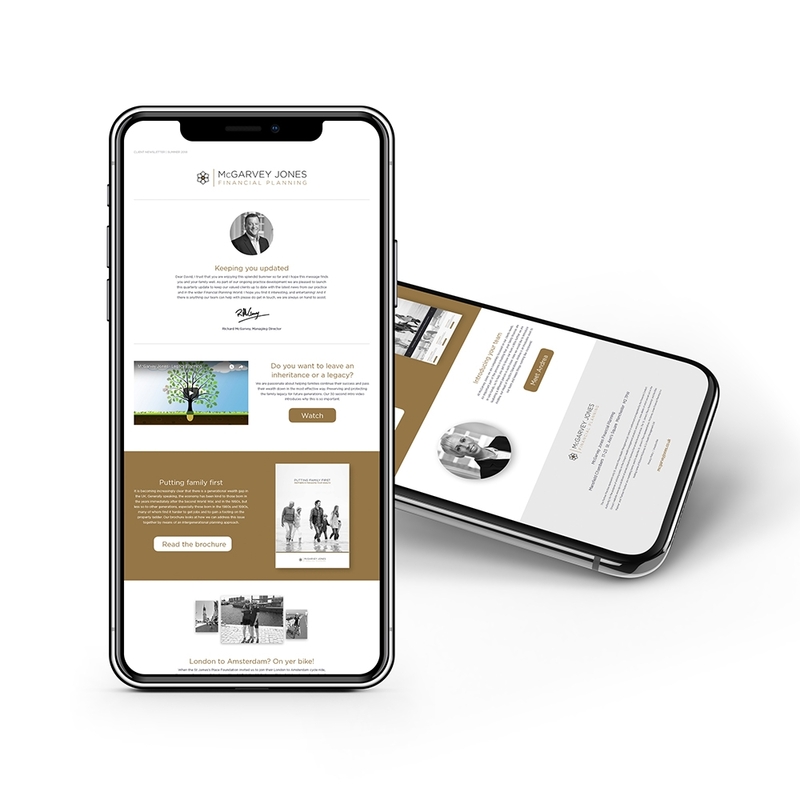 A bespoke website designed & produced to present the wide range of services, with a content plan to keep clients educated, entertained and informed. 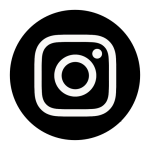 Articles programs aimed at informing and entertaining the client base with regular topical blogs and posts across the marketing network. 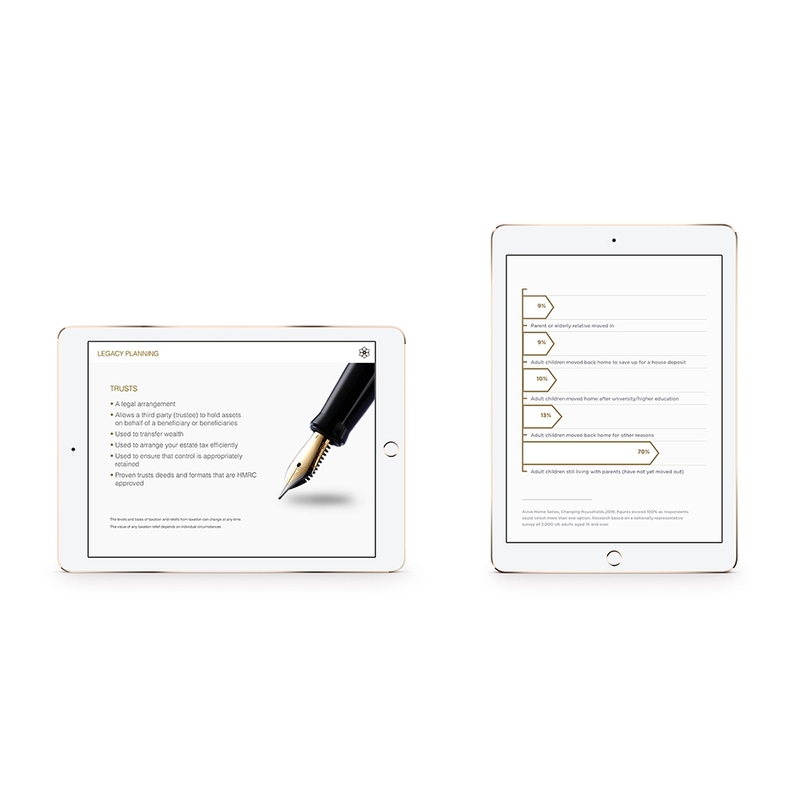 Presentation tools designed to explain the options available to clients in a visually appealing way, with infographics and tools built in to assist the demonstration. A quarterly client newsletter created to keep the audience well informed of vital market news, practice information and updates. A suite of eBooks produced to explain key services, approaches and legislative news. 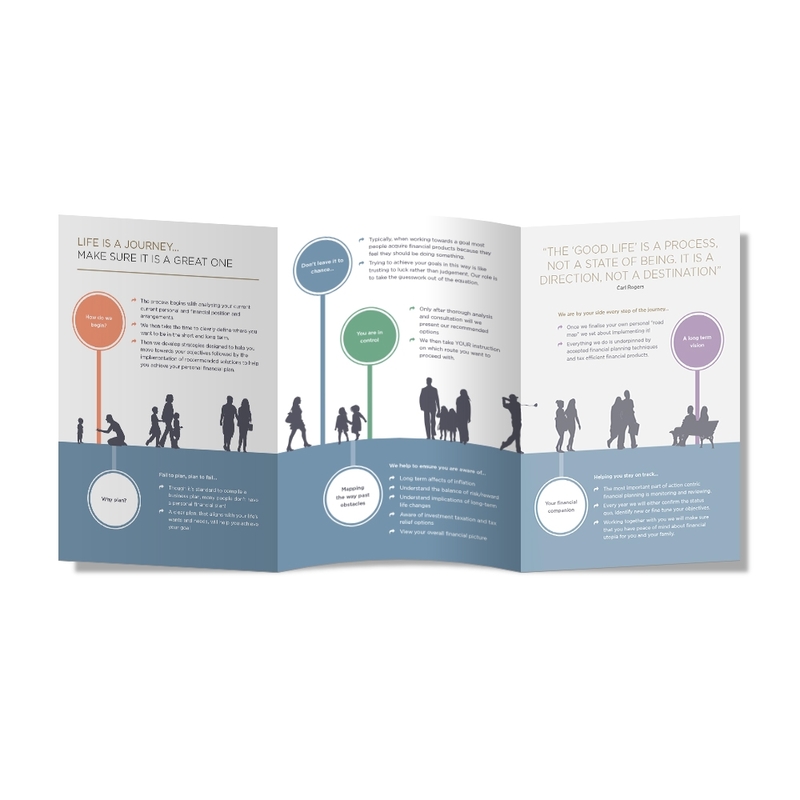 Created to offer a simple, clear and concise level of information for clients. Producing bespoke illustration and data visualisation to accompany campaigns and marketing materials. A Story Called help a range of organisations in the Financial Services sector to effectively communicate their marketing messages. From effective and compliant websites and digital platforms to beautifully designed client communication, we offer the complete range of creative support to assist marketing teams and business owners in Finance. With over 15 years experience in the sector we know the challenges that organisations in this sector face, we ensure we develop a deep understanding of the business specifics and have consistently proved to be a valuable and reliable creative partner.